Recent sedimentation and Plio-Quaternary stratigraphy of northern Marmara shelf has been investigated by high-resolution seismic datasets. Seismic data indicate that a thin cover of Plio-Quaternary unit (termed Unit 1) overlies the Miocene/Oligocene age older sediments (termed Unit 2). The erosional surface between Unit 1 and Unit 2 is the regional unconformity for the shelf formed during the last sea level low stand. Unit 1 is subdivided into two sub-units as Unit 1a for Holocene deposits accumulated after the last glacial maximum (LGM) and Unit 1b for fluvial sediments deposited during the last low stand of the Marmara Sea. The thickness of the Holocene sediments is maximum at SW of Bosphorus outlet, in the Büyükçekmece Bay and along the coastal area between Silivri and Büyükçekmece reaching approximately 32 m. Mean sedimentation rate of the entire northern shelf is calculated as 0.4 m/1000 yr for the last 12,000 yr based on the Holocene sediment thickness. There are four depressions in the western part of the shelf, which correspond to palaeolakes during the LGM filled by Plio-Quaternary sediments. 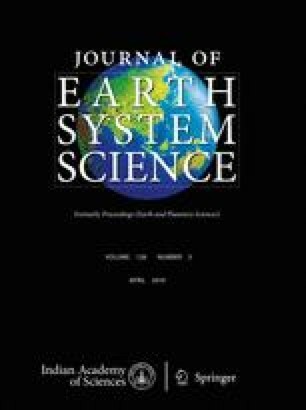 Transition from lacustrine to marine conditions in the palaeolakes occurred when the Marmara Sea level exceeded −62 m threshold depth during the sea level rise following the LGM at approximately 12,500–13,000 yr before present (BP). We thank the TUBITAK Marmara Research Center for their permit to use the dataset. We also thank the research team in Seismic Laboratory of Institute of Marine Sciences and Technology at Dokuz Eylül University (DEU) for their effort during the data acquisition. We are grateful to the captains and crew of R/V K. Piri Reis for their professional and effective assistance. We also thank Prof Semih Ergintav for his valuable contribution and permission for using the dataset.